The Mona Lisa, painted by Leonardo da Vinci between 1503 and 1506, is the most famous painting in the world. 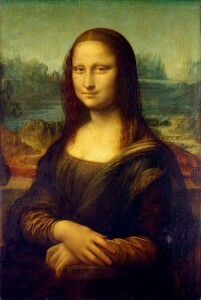 The subject of the painting is believed to be Lisa Gherardini, the wife of Francesco del Giocondo. The painting resides in the Louvre Museum in Paris.